This year D.C. Carnival takes place on June 28th, with a number of pre carnival fetes that are a staple of the Carnival taking place a few days before the main parade. 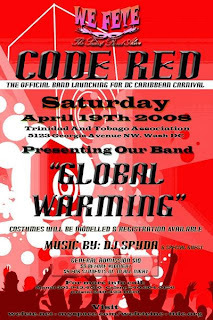 There promises to be a strong representation of bloggers at D.C. Carnival 2008, the count thus far is a tentative 12 persons, and even I am thinking of making the trip to check out what an international Carnival is like. 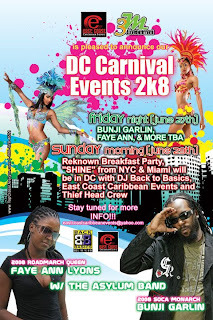 Albeit, I have been to other Caribbean Carnivals (St Lucia and Crop Over) I am yet to experience a Carnival in the U.S. and I have been told that D.C. is a nice mix of fetes and road experience; “they” told me that for Miami Carnival the road is boring but the fetes are great and N.Y. the vibe is not nice at all. D.C., “they said” is nice and mellow and the pre-fetes are great! Mud, I was told is where it is all at for the parade as the costume bands do not offer much in the way of costumes. 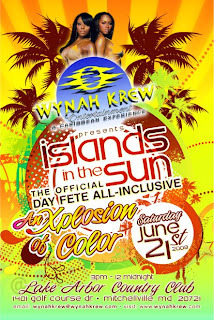 I was told the fetes to be at are TRIBE’s Ignite on June 26th, Taboo on June 27th and Machel on June 28th. 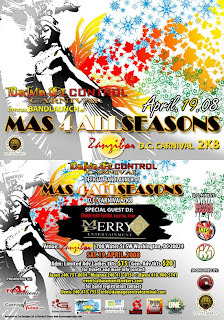 The lead up to D.C. Carnival kicks off next month as both Basement Knok’ers presenting “Mas for all Seasons” and We Fete Inc. presenting “Global Warming” will hold their band launch on April 19th. I.C.E. Carnival has already premiered costumes from their 2008 Carnival presentation “When East Meets West”; you will remember they had sketches of their costumes out for viewing and which I wrote about here. Panisha Mas is another D.C. mas band that seems to have launched over the Easter weekend, their 2008 presentation is “A Brazilian Dream” and costumes photos will be up on the website soon, as per their notice. For mud mas the choices are between Rascalz and Garage Boyz, though both are yet to update their websites. 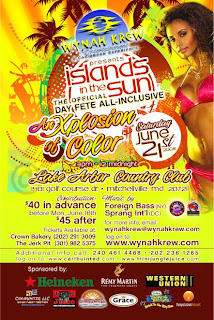 As for fetes, apart from Ignite and Taboo, there is the Carib United Fete which takes place on June 21st, Bunji &Faye Ann on June 27th and the Breakfast Party on June 29th. So as I weigh the pros and cons of D.C. Carnival (it is being weighed against Crop Over and Miami at this point) ,I would love to hear from all of you who have been or are planning to go to D.C. Carnival and what YOU think/thought about the whole experience. Feel free to compare to other Carnivals that you have been to and do as well as give advice as to if you think it is worth the trip. I have a plane ticket on hold and need to make a decision as soon as possible!